Mann's Limousines is located in Birmingham, West Midlands. 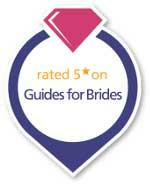 This gives them the ideal location to supply your vintage wedding cars across the midlands regions. 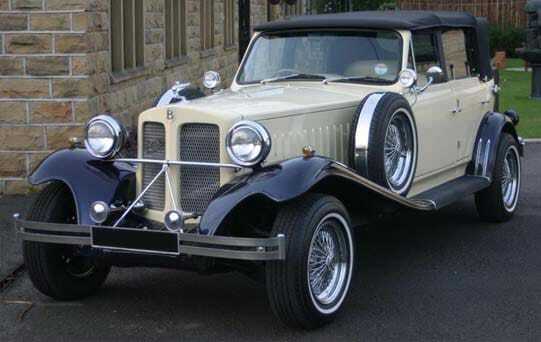 With a wealth of experience and available classic tourers Mann's surely is your one stop shop when it comes to arranging your wedding car. 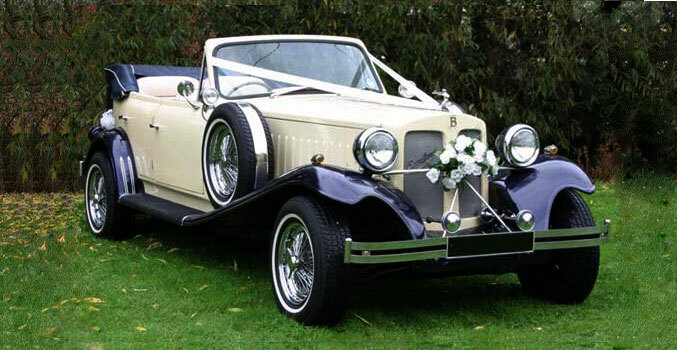 Traditional 1930’s style car is perfect for any wedding occasion. A combination of cream and dark blue exterior with a cream leather interior and blue hood. 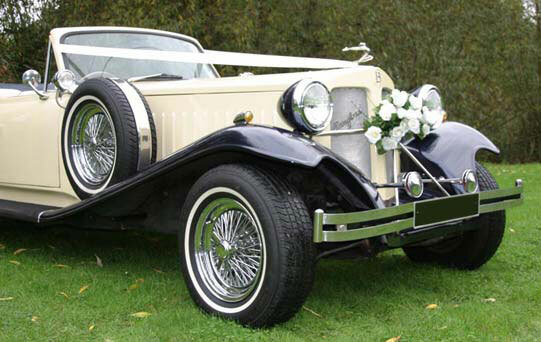 Designed for wedding hire in mind, these beautiful cars are adorned with detail taken from a bygone era. Sleek yet traditional these cars will be admired by both men and women young and old. All Beaufords are hand crafted and are all unique. Based on the 1920's - 1930's Duesenberg and the Packard Eleventh Series Eight Sedan, these replicas offer the style and finesse of these truly amazing cars with the reassurance of modern mechanical enhancements.